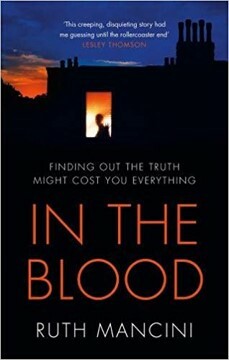 In the Blood is a harrowing book about intense relationships between volatile women and their children. The prologue is as shocking as the plot: a small baby, subject to long-term abuse, has been recently poisoned. In hospital, on dialysis, a tube is deliberately disconnected and he starts to bleed to death. The scene shifts directly to the mother of an older child, his development on hold: an angry, fearful, uncontrollable five-year-old who is driving his loving mother to distraction. This is a Greek tragedy of women fighting for their children. Fathers scarcely come into it: neither the wealthy and dismissive aristocrat whose son fathers a child on a call girl, nor the Australian tourist who goes home to Perth, abandoning his wife and their disabled baby. Fathers don’t figure: like jungle predators they deposit their genes and pass on, leaving their victims to survive alone, to protect and, if necessary, kill in defence of their young. Sarah is a criminal defence lawyer, the mother of big disabled Ben. Called on to defend Ellie, the call girl who is charged with the attempted murder of her own abused son, Sarah is already worn to a frazzle in trying to dovetail Ben’s demanding schedule with a heavy workload of court appearances and prison visits, and all the time hassled by unsympathetic colleagues. Finally she flips: in a supermarket (Ben throwing a tantrum in the unwieldy buggy). At this moment a saviour appears in the shape of Alex, the helpful stranger, who is suddenly there: coping with Ben, with the buggy and a broken jar of coffee, escorting them home to cups of tea and heartfelt gratitude. It is Alex who finds a way of helping to develop Ben’s dormant abilities. It follows that he wins Sarah’s confidence and becomes her lover. Meanwhile Ellie’s trial for attempted murder approaches, her barrister, Matt, emerging from the shadows to become a solid character: an admirer of his instructing solicitor, Sarah, even swayed by her conviction in the innocence of her client, but they have a problem. If it wasn’t Ellie who abused her own baby then who did? Or was it, as Ellie avers, an accident: the cigarette burns, the bruises, the toxic dose of salt? Suspense builds slowly but inexorably to a striking court scene. The final pages of Acknowledgements are significant, reading more like footnotes to a case history. Few people will want to read In the Blood twice but everyone should read it once. No comfort can be found in the observation that “it’s only fiction” for we all know (as the experts in the Acknowledgements bear witness) that child abuse is reality and happening here, now, and everywhere. A distressing and important work, its impact all the harder for its confident and competent style.